Destination Managers are increasingly applying new technologies to assist them with many aspects of their complex jobs in managing tourism destinations. “Smart Destinations” refers to data-driven decision-making and management of destinations. This track of the conference program content considers both industry (businesses) offering more sustainable or responsible product as well as public sector destination managers doing the same. The business of travel can either provide protection to wildlife by funding activities that create incentives for residents and governments to enforce protection laws and ethics, or it can cause much harm to wildlife. Awareness-raising is key, and this track will cover issues of importance to everyone involved in travel and tourism. This session will focus on the essential task of destination managers to better monitor and influence visitor behavior. Lack of management of visitor behavior can lead to damage of the sites visited, or diminish the quality of life of the residents, or negatively impact the quality of the visitor experience. But that management cannot be so intrusive that it brings about unintended negative consequences. It must be managed well, and part of that requires good monitoring of the policies that are put into practice. There has been much discussion in recent years about whether it is ethical for travelers to ride or interact with elephants. This is an important issue that needs to be based on sound understanding of the welfare and care of elephants. To that point, GSTC has assembled a panel of experts on elephant welfare, including researchers from Chiang Mai University and World Animal Protection. Elephants cannot tell us what makes them happy or sad, free or not of pain, so we need good, solid scientific observation and research to understand best how to treat elephants in captivity. Southeast Asia has thousands of elephants alive today, some of which were used in the timber industry, some used for commercial tourism, but the elephants cannot return to the wild due to decreasing amount of wild habitat available. This is a complex subject that requires scientific analysis. 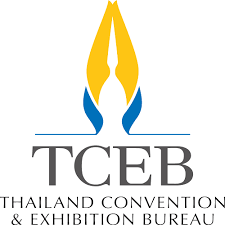 Sellers of travel who wish to better understand the ethical choices of how to satisfy visitor interest in viewing and interacting elephants will surely gain new insights into this matter by attending this session. Globally, it is estimated that there are over 1 billion persons with disabilities, as well as more than 2 billion people, such as spouses, children and caregivers of persons with disabilities, representing almost a third of the world’s population, are directly affected by disability. Accessibility is a central element of any responsible and sustainable development policy. It is both a human rights imperative, as well as an exceptional business opportunity. 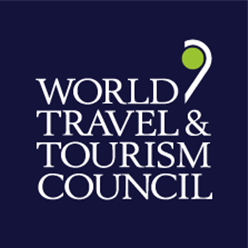 “Tourism for All” is also referred to in the GSTC Criteria (GSTC-I criterion A7.4; GSTC-D criterion A8). The impact of accessible tourism thus goes beyond the tourist beneficiaries to the wider society, ingraining accessibility into the social and economic values of society. Sustainable accommodations must come in all forms, from mainstream to creative, innovative, and the unconventional. This session will present concepts and case studies of creative and innovative types of accommodations that can and do succeed in the marketplace, designed and operated sustainably of course. As tourism demand continues to grow, one important aspect of preventing “overtourism” at iconic locations while still benefiting economically from that strong demand is to disperse visitors to more secondary and tertiary destinations. But can an “emerging destination” benefit from that economic growth potential without damaging quality of life of the residents and the essence of their culture and self-identity? Yes it can! It is not easily done, but it can be done. The speakers forming this panel will look at these issues from two perspectives: first, how do we develop the right mix of products and services to attract the type of visitors who will most appreciate what we offer, and secondly, how do we manage our community and our businesses in ways that will protect our lifestyle and culture? All of this requires planning, and it requires collaboration between the public sector and local businesses. We will aim to offer practical suggestions for civic leaders and businesses. All forms of travel and tourism must become more sustainable. Most travel includes overnight stays, making the topic of sustainable hotels/accommodations essential and ongoing. In this session we will hear from people on the front lines of making mainstream hotels operate more sustainably, considering various elements of sustainable and responsible policy formulation within successful businesses and insights into how to put those policies into practice. Much has been discussed in the past 20 years about CBT — “Community-Based Tourism”, which is often associated with village cooperatives as a development model. This session is about a much broader discussion than that. Benefits to the community are often limited relative to the potential, and sometimes there is social harm resulting from some aspects of tourism. This session will address ways to maximize the benefits of tourism to the communities in and near tourism destinations. DASTA, the Designated Areas for Sustainable Tourism Administration (a Thailand Public Authority), has developed the approach “Community Benefit Through Tourism”. We have assembled an expert panel to examine a number of the many aspects of how tourism can provide more benefits to the local communities that attract outside visitors. In 2017, tourism contributed about 11% of China’s GDP, and contributed direct and indirect employment of up to 28 million people. Domestic travel is booming, and a big increase in foreign tourists is expected for the next decade. In such a context, sustainability practices in tourism are very important, and as such has much potential for a positive change and impactful leadership. In this session, we will learn from Chinese GSTC Members on their application and promotion of the GSTC framework within China. There are literally hundreds of sustainable travel and tourism standards in the worlds, perhaps around 300, and almost as many certification schemes applying those standards. This offers much choice but can also create confusion. The GSTC Criteria were created to set a global baseline set of standards and to harmonize the essence of them with other sets of standards in existence. In this session we will explore successful approaches to reducing that confusion to help business and destinations choose the approach best suited for their situation. Travelers love to shop. For personal souvenirs, for gift-giving, to aid in post-trip story-telling, and for purchasing items that they cannot easily get at home. Unfortunately, sometimes they buy things they shouldn’t, and therefore markets are developed to supply that demand. Many travelers are either unaware or don’t care that some things should not be bought and sold or brought home. Tusks belong on elephants, and not sold in shops, for example. Demand for shark fin soup leads to fishing practices that seriously harm the ocean’s ecosystem. Demand for the scales and meat of pangolin are pushing that species to extinction. These are just three prominent examples of a very large problem. With a new ban on ivory sales in China, the pressure on neighbouring countries is increasing and tourist purchases in countries like Thailand are helping fuel a growing international trade. This session explores why and how tourism providers and governments must work harder to prevent illegal activities that harm or destroy wildlife. Destination Managers are increasingly applying new technologies to assist them with many aspects of their complex jobs in managing tourism destinations. “Smart Destinations” refers to data-driven decision-making and management of destinations. With the rapid development of technology and the strong need to manage destinations well, GSTC Asia-Pacific Director Dr. Mihee Kang will moderate an expert panel providing insights into a number of key opportunities, using case studies and descriptions of new technologies. The quality of the knowledge and skills of the tourism industry workforce is critical to supporting the sustainable growth of the industry, and to promote innovation. Focused on training and capacity building opportunities for tourism professionals, this session offers examples and lessons on how tourism organizations can effectively approach professional skills development to empower and engage employees, stakeholders and community members. The GSTC Destination Criteria that was released in 2013 is now under a revision process. Conference participants are welcome to take part in the revision consultation and help shape the second version of the GSTC Destination Criteria. Coral reefs are in peril, marine mammals and fish are in peril, the general health of the oceans is in peril, and tourism plays a part in all of it. Experts in these issues will share information on how tourism providers can provide satisfactory visitor experiences without damaging the marine wild and general environment.